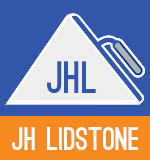 J H Lidstone now have specialized installation teams dedicated to the supply and installation of RMC Supaflo Screeds throughout the South West and are the premier approved contractors for RMC in the region. We are happy to quote for all types of work from small domestic jobs up to large commercial and industrial contracts. The choice of Supaflo Screeds gives the following advantages over traditional sand & cement based screeds. Click below to view the Readymix Supaflo product guide.